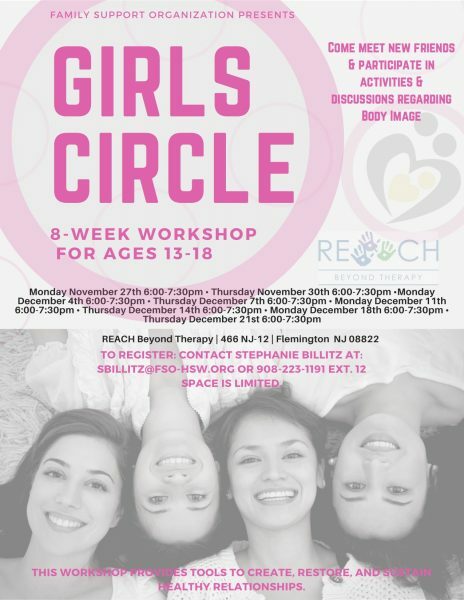 Girls Circle - Begins Monday November 27th - Family Support Organization of Hunterdon, Somerset & Warren Counties. Girls Circle is an eight-week workshop for girls ages 13-18. This FREE workshop provides tools to create, restore, and sustain healthy relationships. Come meet new friends and participate in activities and discussions regarding Body Image.